If you use SuperControl PLUS or AGENCY you can save time generating emails and SMS’ for each booking by scheduling them to send automatically. 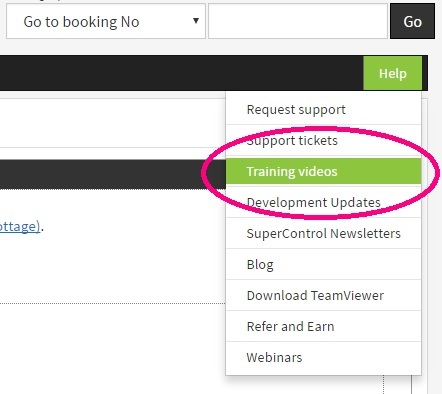 To access this feature, login to your SuperControl account and go to Emails / letters > Automated emails/SMS. Add Letter group: you can call it whatever you like, e.g. Guest emails, Housekeeper emails. Letter: select which emails / letters to allocate to your letter group. Schedule criteria: enables you to select circumstances that the email gets sent. E.g. in this example an arrival information email is scheduled to send if the balance has been paid in full, and the security deposit is help and they are bringing a dog (this is useful if you send extra info to guests who are bringing a dog with them). Booking summary: if you are sending by email you can select to attach or insert the booking summary to the email. Select the Delivery method, choose whether to send the letter as an email or SMS (NB. you need to purchase SMS credits to send by SMS). Schedule date and Schedule days: select when you would like to send the email – e.g. 28 days prior to arrival. Attachments: if you are sending by email you can click Add attachments if you have documents you would like to send with it. Then click Add letter to group. You can add multiple emails to one letter group. E.g. in a group called Guest emails you could include the following letters: Thank you for your booking, Balance reminder and Paid in full confirmation. For existing bookings you will need to manually assign the letter groups. Go to the booking, go to History and Form letters and select the letter group to add. If you don’t already use SuperControl, try a <free trial> to see how it can work for you.